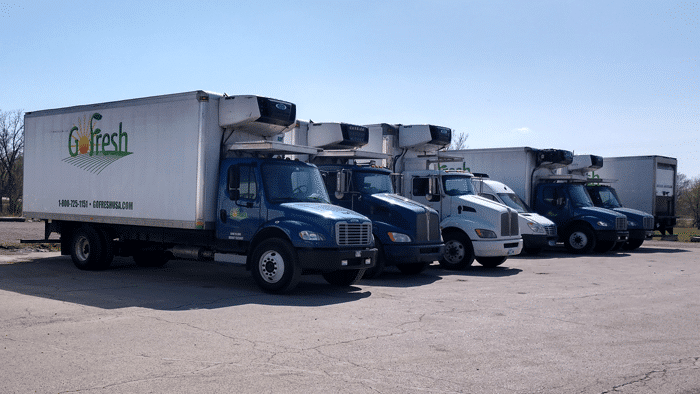 The foodservice distribution industry is extremely competitive and requires companies to implement effective logistics strategies while balancing the related costs associated with doing business. Delivery delays and missed orders can quickly result in lost revenue if the proper logistics solutions haven't been implemented. 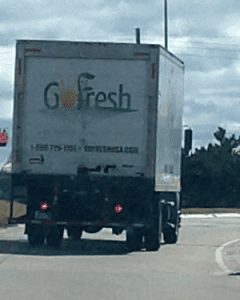 To help meet this demand and enhance customer service, GoFresh signed on with Omnitracs RoadNet Anywhere in the Fall of 2014. While the vast benefits of RoadNet may not be visible to our average client, the value it provides behind the scenes to track trucks, project delivery times, provide contact information, create reporting, provide traffic updates, enable drivers tools and much more is unsurpassed. This allows our Sales Support team the ability to provide the best customer service possible while limiting shipment delays to ensure they meet their destination on time. This is the true value that Omnitracs RoadNet Anywhere provides GoFresh and, in turn, our clients. As soon as our trucks hit the road, Sales Support is able to monitor deliveries and give customers hourly updates if delays are occurring. This also gives us the ability to reroute drivers if any traffic-based interruptions or emergencies occur to provide the quickest route possible to our client locations. By doing this, we are also able to give our clients estimated times of arrival so they receive their fresh produce on time and are prepared for any upcoming lunch or dinner rushes that may occur. GoFresh will soon be implementing GPS-enabled tablets for drivers that provide turn by turn navigation to consistently achieve the best route possible. In conjunction with this update, our Sales Support team will also receive new communication tools to give our clients improved delivery updates and provide drivers with updated delivery routes based on current road conditions. These updates help us consistently improve customer service standards and establish a reliable foodservice transportation experience. Safety is key and Omnitracs RoadNet Anywhere provides that for our clients. By utilizing this powerful software, we are able to keep costs down and consistently improve the customer experience. If you are looking for a reliable foodservice distribution company to fulfill your fresh produce needs, GoFresh is here to help. If you are ready to get started, contact us or call us at (800) 725-1151 today!